A giant star twinkles on the chest of this cute little girls' A-line cotton dress. 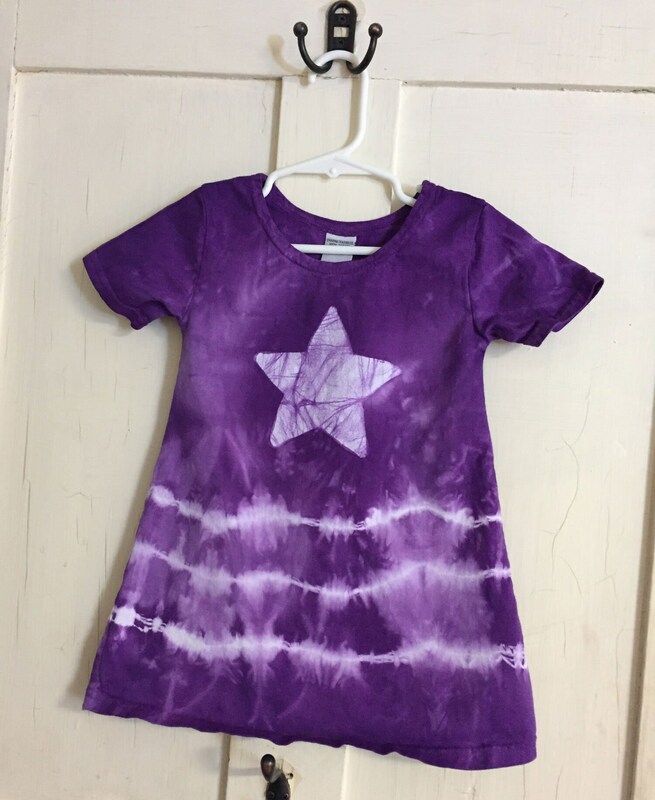 I stenciled on the star and added a few lines of tie dye to the skirt before dyeing the dress deep grape purple. 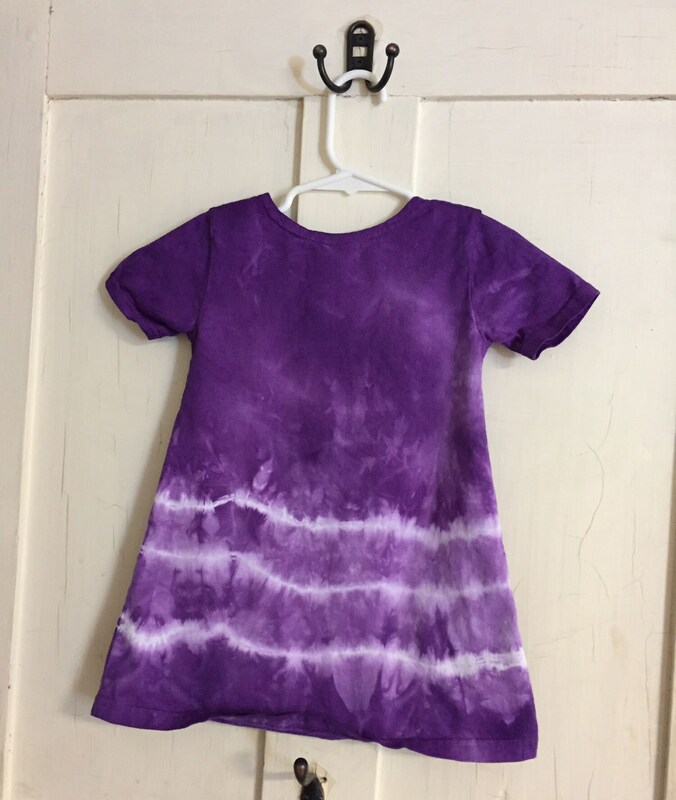 This is a size 2T short-sleeve girls dress. These fun little dresses are great for playing outdoors or dressing up for parties or church. They're 100 percent cotton and have a slight A-line shape; they'd look great alone or with a pair of leggings for chilly summer nights. 100 percent cotton, short sleeves.